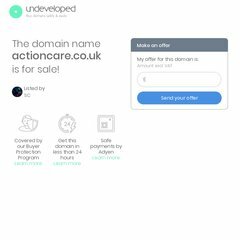 Actioncare is ranked 4,453,877 in the United Kingdom. Its 2 nameservers are redgate.yellowpages.co.uk, and redgate2.yellowpages.co.uk. It is hosted by Ftip003036839 Yell Ltd (England, Reading,) using Apache web server. Its IP Number is 194.72.108.25.